Former WBO heavyweight champion Joseph Parker 25-2 (19) plans to knockout Dereck Chisora 29-9 (21) quicker than Dillian Whyte 25-1 (18) did as he seeks a rematch with the Brixton ‘Body Snatcher’. 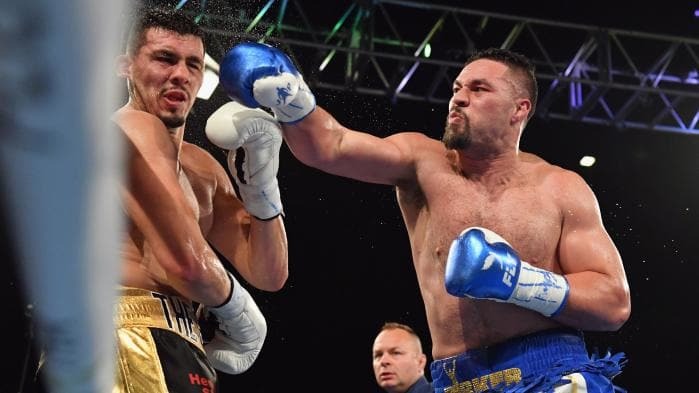 The 27-year-old New Zealander walked away from a proposed fight with Chisora in April after being given limited time to prepare but his team are open to the match-up at London’s O2 Arena in July on the same card Whyte will headline. Last December Whyte and Chisora fought a close battle until Whyte was able to knockout the 35-year-old veteran in the 11th round. Parker meanwhile has been working on his aggression and power, which was on display in his last fight against Alexander Flores in December who he stopped in three rounds. “I’ve been working on some different training, developing power, so if we can catch him with a clean shot, I’ll definitely put him away,” Parker told Sky Sports. “Just some explosive stuff, so hopefully when I do catch him with an explosive punch, and it lands in the right place, I can put him down. It will be a good night. Parker and Whyte fought a competitive 12-round fight in London last July that saw both men on the canvas before the Brit claimed the victory by decision. “Dillian Whyte and I would be great. I would love to rematch him now, but he’s got his own plans and once we both take care of business, and he’s willing, then we can get it on again,” Parker added. Coach Kevin Barry believes the best version of Parker puts Chisora to sleep. “Our plan will be to knock him out, there is no doubt about that,” said Barry. “Obviously the first plan is to win the fight, and I think Joseph Parker at his best will knock Derek Chisora out. We will be going into that fight to make a statement.